Tag Archives for " Sonja Jobson "
Thursday is guest post day here at Duct Tape Marketing and today’s guest is Sonja Jobson – Enjoy! Please raise your hand if you’ve ever purchased something based on an emotional whim. If you didn’t raise your hand, I am seriously doubting your honesty. We all buy based on emotions sometimes – most of us do it regularly. We purchase clothes that we think will make us look attractive, we buy movie tickets to escape reality for approximately 120 minutes – even our morning latte is generally linked to an emotion (although sometimes, I suppose, that one has more to do with survival). If you can’t take my word for it, how about Zig Ziglar’s? If you can tap into this emotional motivation in your customers, you can create copy that will have people eager for more. Here’s how. What is your prospect afraid of that your product or service can help eliminate? Or, what do your prospects dream about that your product or service can help bring to reality? Hint: some of the most powerful emotional triggers are fear, anger, love, curiosity, and trust. The first step in creating compelling copy is determining the problem or desire your message will be based on. This copywriting technique has been successful since the early days of advertising. 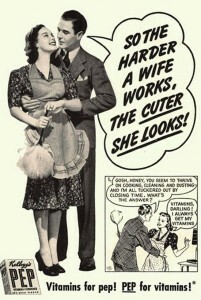 Take this vintage (and entirely sexist – funny, what they could get away with then) ad, for example. 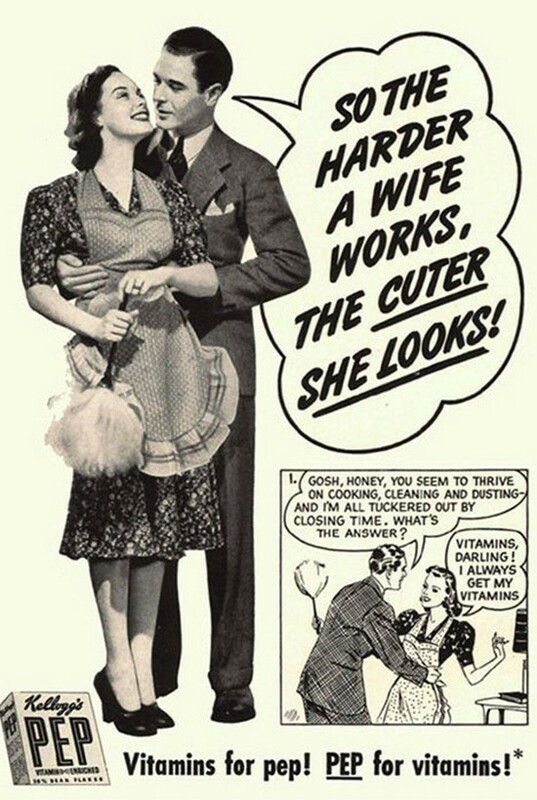 While the message might be offensive to modern women the world over, it did a marvelous job of appealing to then-current day emotional pulls. The copy in this advertisement has almost nothing to do with what it was actually selling: vitamins. It focused on the emotions that were close to their buyers hearts, and then presented their product as the solution. You can use that very same strategy in your own marketing (but more appropriately, I would advise). Find the problem your offer solves or the dream your product/service brings to life and you’ve found your compelling message. Once you’ve homed in on a powerful emotion, it’s time to build your copy around it. Start by creating some common ground. Let your prospect know that you understand where they are at. Sympathize, commiserate, or tell the “I’ve been there” story. However it fits best into your overall brand and style, create some common ground between you and your prospect. How can they trust you to offer a valid solution if you don’t deeply understand what they’re going through? Powerful copy builds a connection. Chances are, your visitors already know what their problem is and are eager to solve it. But sometimes people don’t know exactly what’s holding them back or causing them friction. Draw on the fear, frustration, or obstacle you identified and show people how it’s negatively affecting their lives. Alternately, if you identified a curiosity, hope, or ambition, show people how lacking that result could be holding them back. Then, show them what’s possible. Paint a picture of life after their problem is solved or their goal is achieved. You need to demonstrate how your product or service can be the solution they’ve been looking for. Answer questions like: How will you help them? Why are you the best option? What will their life be like after their problem is gone or their goal is achieved? People decide whether or not they want to buy something based on emotion, but – especially with big ticket items — they back that emotional decision up with logic. If you’ve done a great job of appealing to your audience’s emotions, chances are they are going to find a way to justify the purchase whether you provide those reasons or not. But if you can back up your emotional message with logical selling points, you’re in an even better position to seal the deal. Logical selling points include things like case studies that show how your product or service worked for others, descriptions of features, product samples or free consultations, and money-back guarantees. Emotions are powerful, and people rely on them every day to make purchasing decisions. Choose one section or page on your website, and rework the copy to focus in on your visitor’s emotions. Once you start seeing an improvement in your conversions, I’ll bet you’ll be eager to apply this technique to all your copy. 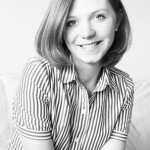 Sonja Jobson is a copywriter who helps small business owners and entrepreneurs become Incredible on the Internet. She shares her best marketing advice in her free, weekly Insider Emails.